In the past few weeks, we have been talking a lot about Samsung’s upcoming Galaxy M-series. This one is going to replace the brand’s existing mid-range series i.e. J-series. 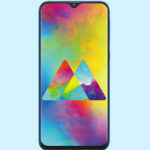 Now, in the latest scoop that’s been doing rounds on the internet, specifications about the Samsung Galaxy M20 have been confirmed. Ahead of the launch on January 28, 2019, Samsung has listed the Galaxy M Series on Amazon India. 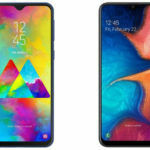 Although the company did not reveal any specifications in the listing, a new leak has uncovered all that was left to our imagination concerning the Samsung Galaxy M20. Let’s check them out. 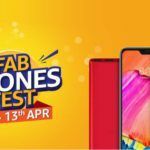 What Does Samsung Galaxy M20 Listing On Amazon India Reveal? Going by the listing of the Samsung Galaxy M20 on Amazon India, the phone has already been touted to come with a ‘massive battery’ and ‘display featuring waterdrop notch’. 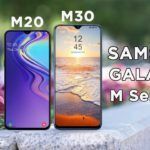 According to the folks at SamMobile, we can expect the M20 to be backed by a 5,000mAh battery that will make it the second phone by Samsung to have such mammoth battery, the first one was the Galaxy A9 Pro. 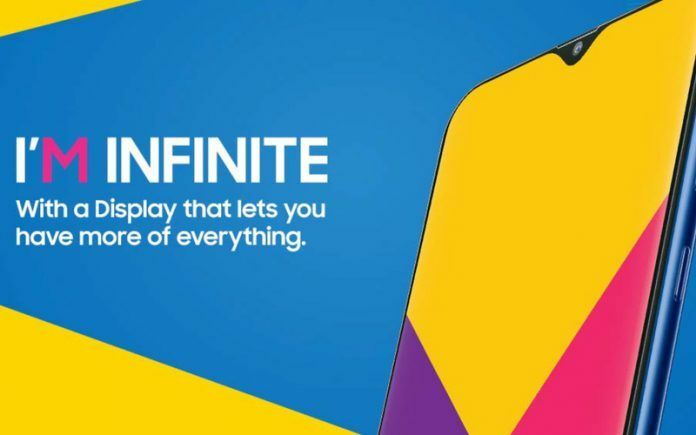 Now that Amazon has already created a landing page for the upcoming Samsung Galaxy M20 smartphone, it is only obvious that it is going to be the exclusive online retailer for the phone in India. 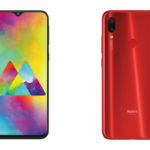 Promotional images loaded on the listing clearly show off the waterdrop notch, which is V in shape and houses the selfie camera. It also boasts the ‘Infinity’ display that Samsung has been using or has used on most of the recently launched and upcoming phones. We also can see the dual camera lenses shown off in one of the images alongside another image that reveals the USB Type-C port which will also support fast charging. All the images in the listing, just brush the specifications without going into the intrinsic details. However, thanks to a leak, we now know all the solid details concerning the Galaxy M20. The leaked specifications about the Galaxy M20 reveal that the phone will feature a 6.3-inch LCD display at 1080×2340 pixels resolution. Under the hood, the phone will be powered by an Exynos 7885 paired with 3GB of RAM and 32GB/64GB of internal storage that will also be aided by a microSD card slot for further expansion. The Galaxy M20 will have a fingerprint sensor on the back and will rock a polycarbonate build, which is also confirmed by the images in the Amazon India listing. 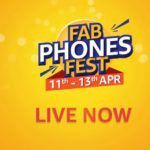 In the camera segment, the phone will is claimed to sport a 13MP+5MP dual camera setup on the rear with f/1.9 and f/2.2 aperture, respectively. There is not any info regarding the front snapper, but Samsung has suggested in the listing that it will be an ultra-wide lens. In terms of software support, the phone will run Android 8.1 Oreo, which acts as a buzzkill because Samsung is launching this phone in the year 2019 with an older OS, but this may also mean that the company will soon push a Pie update for it post-launch. Going by these specifications, we are really curious to know the price point for this phone. Samsung is in dire need to make its mid-range segment shine again, and the only way to do that would be pricing its new lineup sensibly to beat the competitors. What’s your take on the upcoming Galaxy M-series by Samsung? Share your thoughts with us in the comments below. In the meanwhile, you can also check out our video on the Galaxy M-series.